As coaches, we all have to write programs. But if you’re anything like me, I didn’t really learn the “rules” of program design, even with six years of higher education. And perhaps most importantly, what I did learn never really held up when it came to start writing real programs that worked! 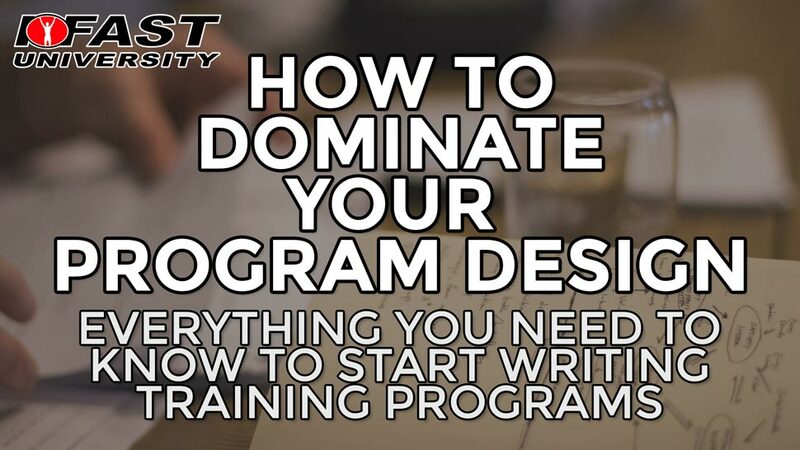 In this article, we’re going to talk about the specific variables you have at your disposal to dominate your program design. Whether your train high level athletes or fat loss clients, once you understand the underlying principles and physiology of program design, every program you write will immediately become clearer and more effective. 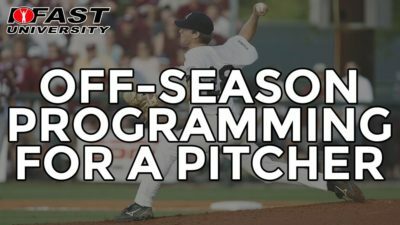 This article is designed to piggyback directly off of this video on program design. What set/rep scheme is best? What is tempo/time under tension, and how does it affect my adaptations? The big issue here is that we’re trying to answer the question in a black-and-white fashion, when everything in training is really gray scale. And to confound things even more, even in that gray scale there’s room for artistic expression. Which is why all of this program design stuff is so much fun! The topic of exercise selection goes far beyond what I can cover here, so I’m going to omit that for the sake of brevity. But let’s dive in and take a quick look and how those other four variables can be manipulated and pieced together to write a complete program. Many years ago, I was introduced to the neural-metabolic continuum by strength coach Ian King. When you are writing a program, you are either chasing neural/nervous system adaptations, or muscular/metabolic adaptations. What you’ll find is that when you start to think in this fashion, it immediately clears up a ton of confusion with regards to your programming. Take a longer rest in between sets. It sounds pretty simple when we whittle it down like that, right? Now let’s dive in and look at all those variables as the unique flowers that they really are. I just mentioned that I was going to break these variables up, but sets and reps are like peanut butter and jelly. You can talk about them as individuals, but those just fit so nicely together! On the flip side, when you chase metabolic adaptations, you go in the opposite direction. And as you’ll see later on, when you start doing the math (reps x TUT) for each set, you’ll start to have a better idea of why we get the adaptations that we do. I first read about time under tension (aka TUT or tempo) very early in my career. And I used TUT prescriptions for years to write some pretty awesome programs, without ever truly grasping how it changes things. Quite simply, when you start to play around with TUT, you are shifting your adaptation to either a more reactive/elastic adaptation, or to a more muscular focused adaptation. Think about it like this: When you really slow a rep down, taking a three or four second eccentric, or perhaps throwing in a pause, you put a ton of stress on the muscle tissue to control and own that movement. Slow down the concentric portion of the lift. On the flip side, when you are trying to be as fast and explosive as possible, this puts a premium on elasticity, the stretch shortening cycle (SSC), etc. Be as explosive as possible on the concentric. Quite simply, when you start to dabble with TUT, what you’re really doing is determining how much influence you want the SSC to contribute to the movement. But when you tie the right tempo prescription in with the right set/rep scheme, now you’re really setting your athlete up for success. Last but not least, we have rest period. And before I give you answers, just think common sense. You’ve just completed a heavy triple on the squat. You’re out of breath, your eyes are bulging, and your pulse is racing. Do you really want to do that again on 60 seconds rest? Now let’s flip the scenario. You’re really trying to get leaned out and shredded for the summer. You’re in the gym, and you crushed a set of 10 reps like it was your job. But now you see an old buddy and you talk to him for the next 10 minutes. Is this going to help you get the body composition changes that you want? Probably not. This is why choosing the right rest period is the icing on the cake. If you’re chasing nervous system adaptations, it takes the nervous system time to recover from intense bouts of exercise. Muscularly you (or your athlete) could feel recovered, but this nervous system is not. And when you talk metabolic adaptations, then you need to get comfortable working on incomplete rest. If you’re not huffing and puffing a bit at the end of your training session, then you’re doing it wrong. Now that we’ve got all the primary pieces in place, let’s look at this through a slightly different lens, which will hopefully make all of this a bit easier. All training is energy system training. While we tend to think of EST as specifically conditioning, everything we do in the gym is energy dependent as well. Think about a heavy set of 3’s on the squat. It might take 6-8 seconds to finish the set, and then you need to take a full recovery to allow the nervous system to recover. So you’re looking at 8 seconds of work, with 5 minutes of rest. That’s about as alactic/aerobic as it gets. Now consider a fat loss protocol where you’re performing 12 reps on a 301 tempo (48 seconds of work), interspersed with 60 seconds of rest. When you combine the 48 seconds of work (where you’re tapping into the glycolytic pathway), and combining that with incomplete rest, you’re got a very glycolytic focused workout. In the short term, start thinking of all your programs in terms of what energy system pathway you’re training. This is just another way to look at the neural-metabolic continuum above. Regardless of which way you settle on, it behooves you to start thinking in this fashion as it will help you streamline all of your variables. I’m a firm believer that program design is one part science, and one part art. This article has given you the basic physiological principles that underlie a solid training program. And while you might work around them for a short period of time, you can’t cheat these rules for long without consequences. What makes this so fascinating, however, is that once you have the scientific rules in place, there’s still a ton of room for interpretation and individual expression. You’ll notice I gave very few specifics in this article, and for good reason. Once you know the rules, you’re free to pick and choose from the exercises, set/rep schemes, time under tensions and rest periods that work best for you and your clients. 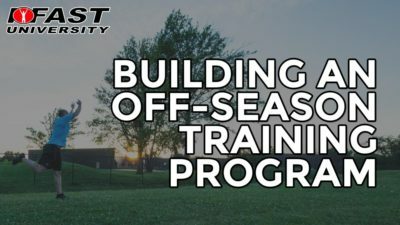 I sincerely hope this article gives you a better idea of how to dominate your program design. If you have any follow-up questions whatsoever, please post them in the Facebook group! quick question here. I’ve read periodization training for sports and optimizing strength training. So in other words non linear vs linear periodization? I’m training general high school athletes that want to be generally faster, bigger, stronger. Is non linear the way to go to cover that wide range of training? I’ll be frank – I don’t think it matters all that much with basic high school age athletes. You can train them for just about anything for the first 2-3 years and get a training result from it. Beyond that, though, you’ll need to get a bit more specific with your training programs and the adaptations that you’re chasing. For me, non-linear (where you’re using 2-3 different set/rep schemes per week) is a last case scenario because you’re constantly throwing different stimuli at the body. 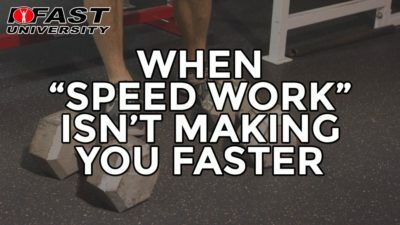 I’d rather go shorter blocks but be very concentrated in how I’m addressing the athlete, and the adaptations I’m trying to create.